When two people decide to do business together for the first time, one of them is taking a bigger implied risk than the other. That person is the prospect who is now becoming a customer. The new customer has agreed to pay a set amount of money for a product or service that will deliver a perceived benefit. And they hope that benefit has a value beyond what it costs them to buy. That perceived risk is what stops a lot of transactions from happening. We’re ALL skeptical. And because of that, marketers fight the endless battle of overcoming skepticism. Nordstrom figured it a long time ago. All purchases are 100% no-questions-asked, money-back guaranteed, putting all of the risk on Nordstrom’s shoulders. My daughter, Kelly, went shopping for shoes at Nordstrom a while back. She explained to the saleswoman she wanted a pair similar to shoes she had at home. She’d bought them at Nordstrom a couple of years ago. She loved the style of the shoes and how they looked when she wore them. But they hurt. Kelly wanted to replace those with a similar looking pair that didn’t hurt. The saleswoman told Kelly to bring the other shoes back. Kelly said that wouldn’t be right. She’d had the shoes for a couple of years and had worn them, even though they hurt. That’s what you call Risk Reversal. Take 100% of the prospect’s perceived risk out of the equation. 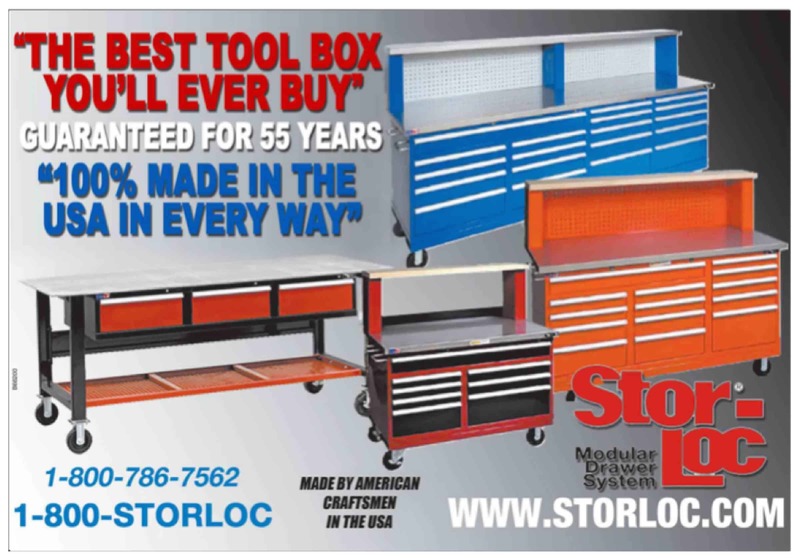 One of the best B2B examples I’ve seen of Risk Reversal is with a coaching client of mine, Stor-Loc Solutions, a manufacturer of modular drawer systems, work-stations, and tool storage systems. 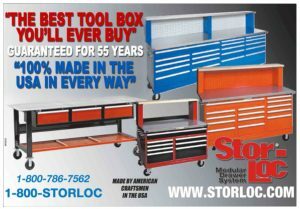 First, “The Best Tool Box You’ll Ever Buy,” is a very bold statement, but they back it up with an equally bold guarantee of 55 years! Why guaranteed for “55 Years” and not “Lifetime?” Lifetime would certainly be powerful, but “55 Years” is memorable. I’m pretty sure 55 years is plenty long enough to take any perceived risk out of the prospect’s mind. And owner, Mike Ryan, has even featured his young son in some ads to show that even if Mike isn’t around in 55 years, his son will be! Risk Reversal is one of the most powerful sales and marketing tools you can use to build your brand and grow your business. Odds are you stand behind your work now, but do you make it a BIG PROMISE — up front, on your website, in your marketing materials, in your demonstrations, and in your presentations? Want help with your branding and filling your funnel with top prospects? Click the button below to get information about my next coaching program…coming soon! That’s a really great point, Jason. Maybe we should contact customers well after the product is delivered or the job is done and ask how they feel?